Different stores, markets, renting services, hosting, domains, VPN, proxy, travel agencies and ticket booking websites, different B2B services, gambling, gaming and many others. All companies are rated, to help you to do your choice. Rating is based on a company's profile information and it's activities in social networks. 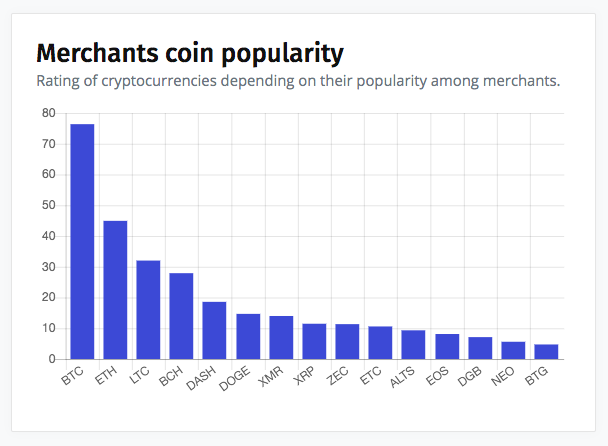 Also we are proud to present you our Merchants Coins Rating by Cryptwerk, where BitcoinCash holds the 4th place among other cryptocurrencies. 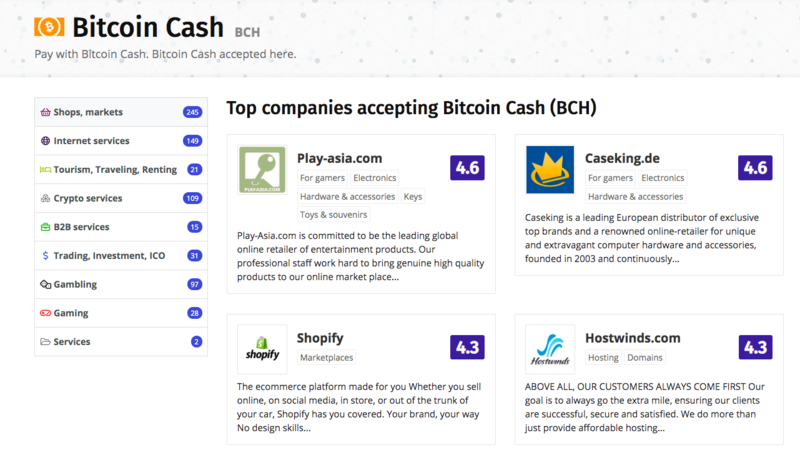 I hope that will be useful for all community and will increase the speed of BitcoinCash mass adoption!